Two Weeks To Party Time! 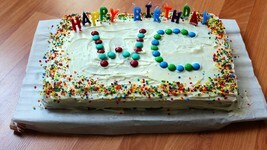 We're now less than two weeks away from the CIC's 18th Birthday, so the countdown is really starting to heat up! My fellow CIC staffers are hard at work on new features that I'm getting anxious to see myself. Our official birthday is the evening of August 10, but this year we'll be celebrating on the following Saturday, August 13. Everything gets going at 7:00 pm EDT (4:00 pm PDT and 11:00 pm GMT) in #Wingnut on irc.wcnews.com or our easy web chat interface. As usual, we'll have trivia contests, lots of site updates and tons of fun with our fellow Wingnuts. See you there! 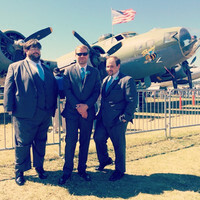 In between work composing the next live Wing Commander album as well as performing at the Elephant Room in Austin, former Origin musician George Oldziey was asked to create a brief patriotic medley by friend and film maker Robert Rodriguez. The two previously worked together on projects like Sin City and Once Upon a Time in Mexico. It wasn't immediately clear what the new music would be used for, until George was informed it would be featured in this past week's Democratic National Convention in Philadelphia! Regardless of your political leanings, this is a pretty proud moment for a very accomplished artist and strong supporter of the Wing Commander community. Congrats! You can watch the clip featuring his audio below. As a composer, sometimes you never know where your music will end up! About 2 weeks ago Robert Rodriguez sent me an email with a 2 min. piece attached and asked if I could compose something similar with some hints of "America the Beautiful". After about 5 versions (all without ANY video to work with) he finally said, "Great, I think that will work!". Didn't hear anything again until yesterday when he texted and said my music was going to play in 10 minutes at the DNC synced to a video he made! I didn't see it live, but here is the clip from the broadcast yesterday! Robert also gave a great speech at the end of the clip! I'm very proud to know it got used for such a worthy cause! 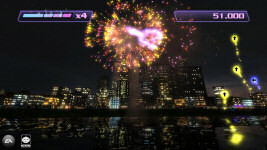 The list of Xbox 360 games supported by XBox One backwards compatibility grew to 230 this week with the addition of EA's Boom Boom Rocket. We began closely watching this title in early 2007 as Electronic Arts first began developing games for Xbox Arcade, the name for early downloadable content on the platform. 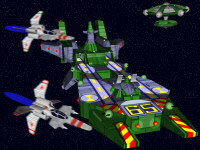 BBR was a pretty fun rhythm/puzzle game, and it was followed by Wing Commander Arena a few months later. 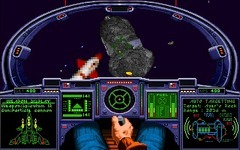 These early pioneers had to squeeze into many restrictions, such as a 50 megabyte cap that limited everything from graphical texture quality to the scope of the games themselves, but a whole lot of creative energy went into this first class of releases that makes them stand out to this day. In addition to emulation of their original features, backwards compatibility adds in some nice modern additions such as enhanced parties/team chat, DVR game recording, built-in screenshots, controller customization and streaming to Windows 10 PCs, so it's really nice to have for older games you love. When BC was first announced, Microsoft noted that the publishers would need to take an interest to enable XBox One support. EA has brought forth Portal 2, Left For Dead, Dead Space and other higher profile 360 standouts to date, and now it's great to see them reach back into their relatively little known Arcade lineup. Could Arena be in the pipeline? 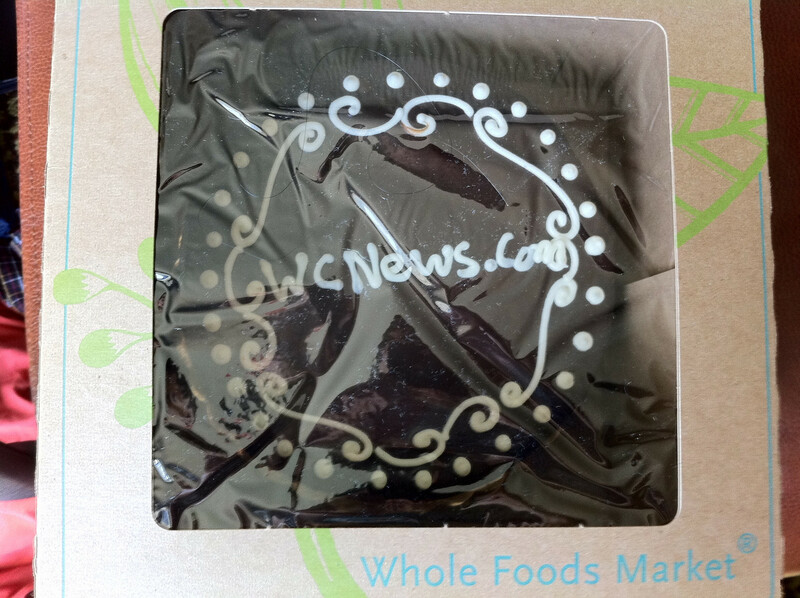 It celebrated its ninth birthday on Monday. 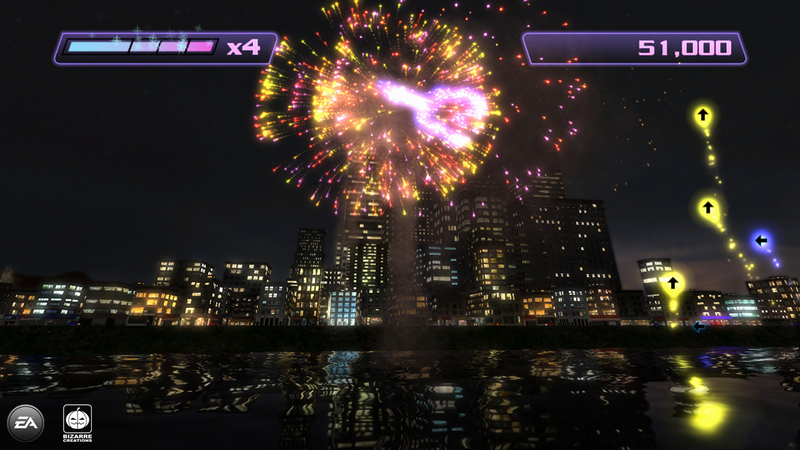 Here's hoping we're all playing a tenth anniversary tournament on the XBox One next year! You can vote for Arena to be added to the compatibility roster here. Beep is an upcoming documentary about the history of game sounds, ranging from Victorian mechanical games, to pinball machines to modern video games. The documentary was financed through crowdfunding and is set to come out this Summer. In the meantime, the creators have been releasing webisodes that are free to view. 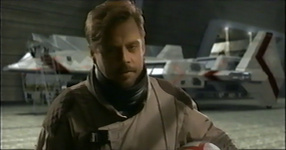 One such webisode is a 45 minute interview with Wing Commander composer George The Fat Man Sanger. They talk about his early career, getting into MT-32, composing for slot machines, and where he sees the industry moving. At the 28:20 mark the topic shifts to Wing Commander, working with Dave Govett, and the very first sound awards at the GDC. You can watch the interview on Vimeo or embedded below. Vimeo also offers downloadable versions. Beep is a documentary history of game sound from the Victorian arcades through to today, with a special focus on video game sound, but also including mechanical games and pinball. Beep is a feature-length film, a series of webisodes and DVD extras, a book, and a collection of resources here on this website. 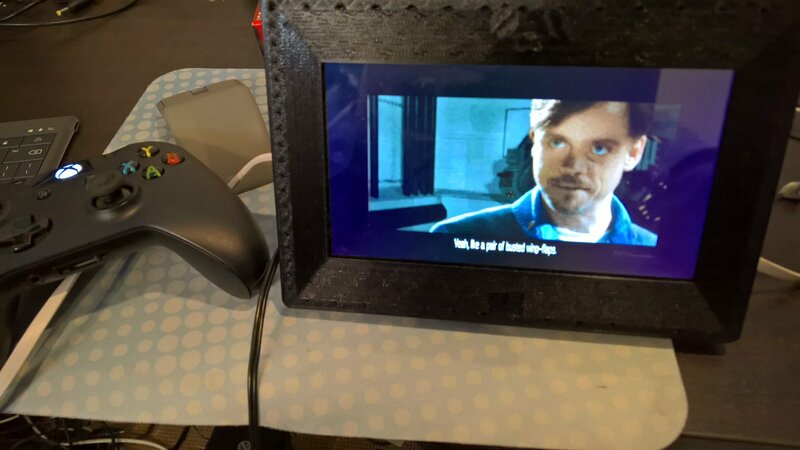 Beep began with a Kickstarter campaign in August/September 2014, and began filming in October 2014. Beep the film and book are scheduled for release in summer 2016. Christopher DeWitt put together an interesting video of a Wing Commander speedrun. Lots of people have recorded themselves fully playing through the game, but Chris wanted to see how fast it could be done with invulnerability on. Some might consider this cheating, but he did not use "alt+delete" instant destruction command. Also without ever ejecting, the total run time came in under two hours. This compares to LOAF's incredible continuous sub-nine-hour time to play through the game in last year's 25th Anniversary Livestream with deaths, breaks and replays included. 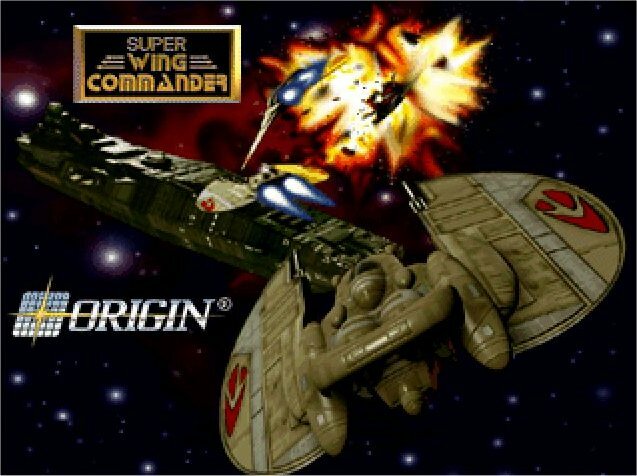 I'm happy to admit I used Origin -k on occasion as a kid to play through the Vega Sector, and it was still an incredibly thrilling immersive experience to dogfight without the fear of death at every turn. I think both playthroughs are lots of fun to watch in their own way! 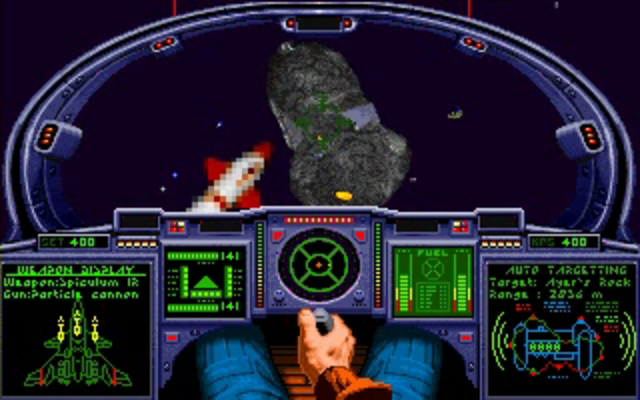 Got an idea for a Wing Commander speedrun that I wanted to try out. I did use "Origin -k -b" cheat but only for the invulnerability, I don't think it would be very doable this way otherwise and I feel even with it on it still makes for an interesting run. Certainly a lot of room for optimizing it and this would also keep it marathon friendly. This was purely an experiment and I just wanted to see how it would play out. Lemme know what you think in the comments! 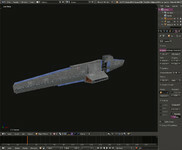 The first test release of Wing Blender 2.0 has been released! The program allows models to be easily imported and exported between the Blender app and Prophecy/Secret Ops Vision Engine for easy 3D model manipulation. 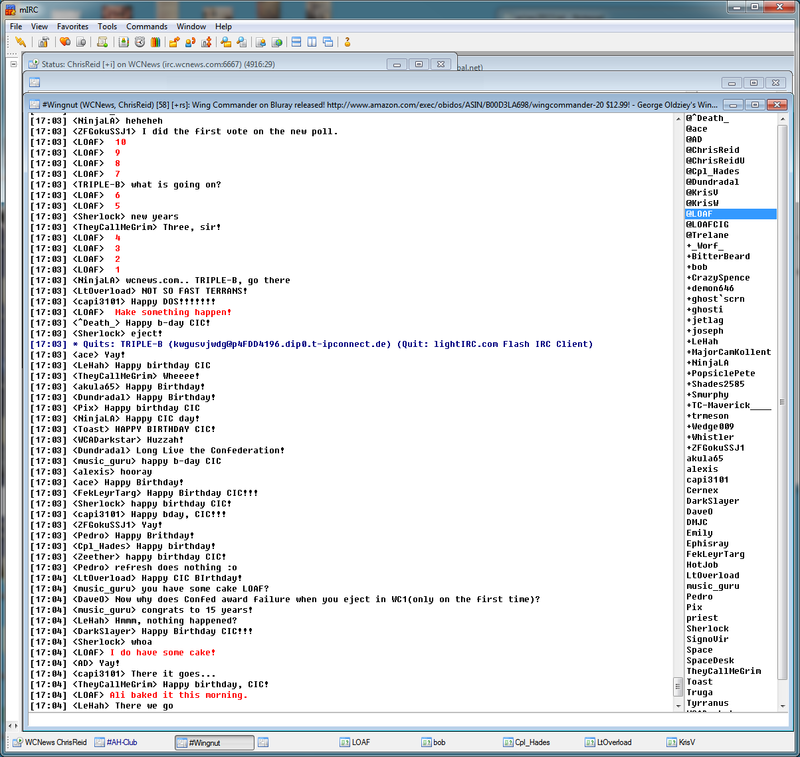 Even if you're not planning to mod the games, it's interesting tool to play around with and explore the guts of the Windows WC games with. Kevin has also made a documentation page for more information on how to use the program. Grab the beta here. Good luck, and good (bug) hunting! This week the Maslas Brothers are showing off some of the heavy ordnance that will be featured in the game. 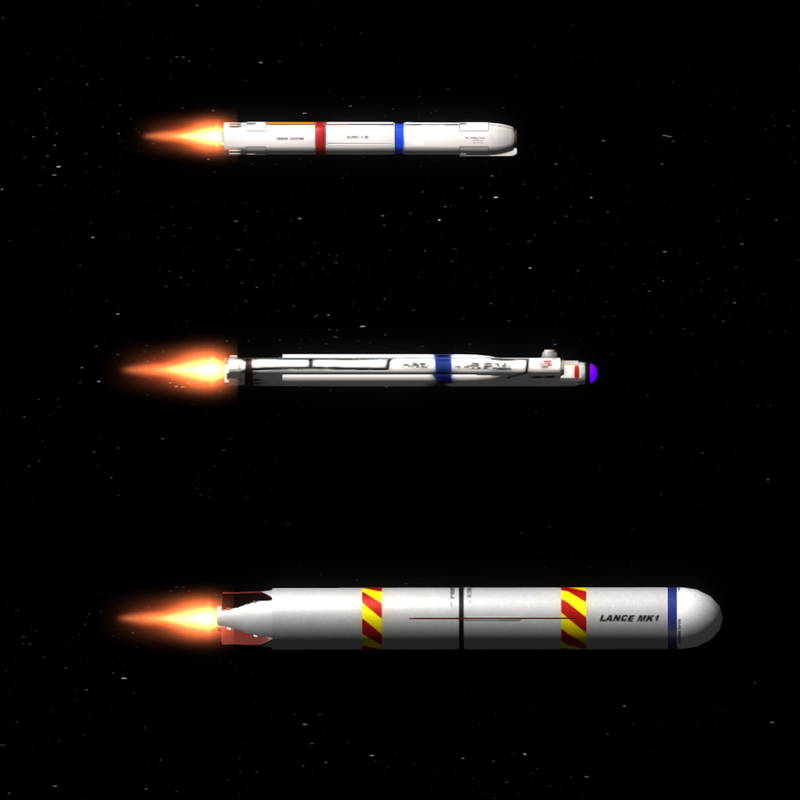 Three different grade torpedoes will be available: the Valiant and Firestorm from Prophecy as well as the heavier Lance which debuted earlier. 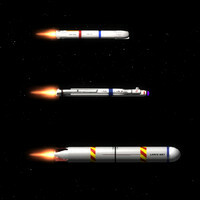 It sounds like there'll be some pretty explosive assaults to come in Flat Universe! 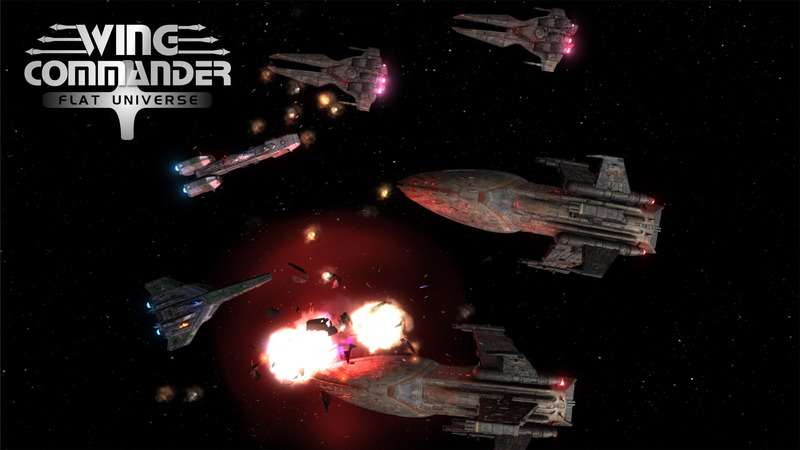 You can read all about Wing Commander torpedoes and how they compare with their real life counterparts in Dundradal's WC vs History feature. 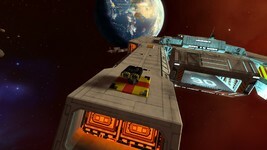 Speed, range, lock time and damage potential are different for each type along with the platforms that can carry them. The only things they have in common is that they punch through phase shields and they create some great explosions - when they find the right target off course! P.S. : Don't accidentally bump into one of those... You won't like it. We've got some great news to report this weekend! After a very long week in the hospital, CIC co-founder Ben 'Bandit (LOAF)' Lesnick is finally home. He'll be taking it easy for a bit to get back up to full health, but it sounds like the roughest part is fortunately in the past. We're all super happy to have him back! I'm so excited to be home! Thank you all, will catch up soon. 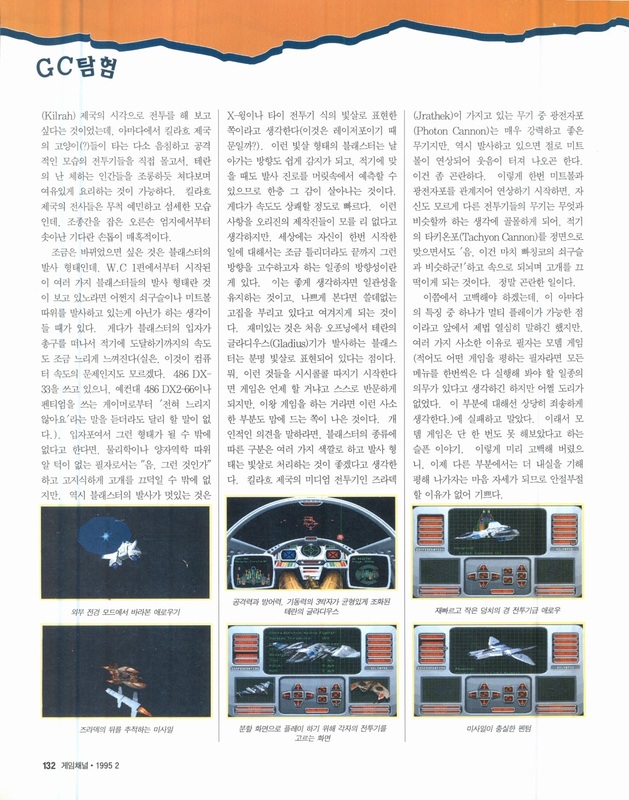 Super Wing Commander pro mkdud has written up some info to help Wingnuts play this relatively illusive game. One option is to secure a 3DO, or fans can try to find the right old Macintosh computer. 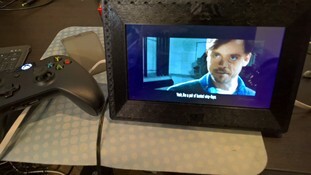 After quite a bit of tinkering, he's settled on a recommended suite of computer hardware and software that performs well. Note that SWC doesn't want to run on OS X and doesn't always have great luck with emulators, so you're going back a little ways to get the best setup. He's had good success with an iMac G3 333 MHz with 128 gb ram and OS 9.1. You can find out more details on his specific machine here and read the highlights below. 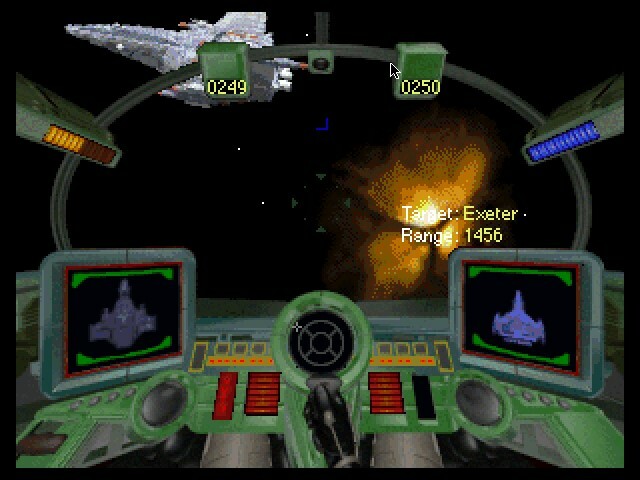 Thanks to the advice from "Bandit LOAF" and others, I have finally assembled a machine that is playing Super Wing Commander very well. I wanted to post this as I have received some interest from other CIC members who potentially wanted to do the same thing, and some wondered if it is worth going to such extremes when we have been blessed with SM 1.5. IT IS WORTH IT! If you are a big fan of WC1, WC2, and the Privateer era WC games, you will love playing SWC on a proper system. Smooth graphics and animation, great sound, actually good voice acting, and some very unique (and tough) missions make SWC an awesome experience. After some more experimenting, on the iMac G3 333, I'm now running G3 Throttle at a wait state of 6, and I have PowerLogix Cache Control set to 111 mhz. This has improved the overall gameplay smoothness and stability a bunch. Even in melees with lots of ships, (including cap ships) this seems to have things really smooth and stable. I still have to post my memory settings for SWC; I believe the minimum file size is at 4238k, with a preferred @ 5238k. I have had several Wing Nuts ask me what I felt was the best "ideal" setup for SWC. If your primary purpose is SWC and WC3 + WC4, I'm starting to see some real virtue in the 1999-2000 series G3 IMacs running OS 9.2. They can be bought for relatively low prices (under $100 +/-), and for a small additional investment (about another $100) on a nice ADB stick, ADB to USB adapter (I use the CompUCable, I had numerous problems with Griffin's Imate), replacement optical drive, and a powered USB hub, you can have a pretty good Mac SWC to WC4 system. 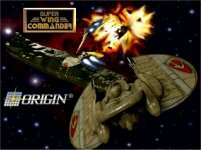 AmigaLove.com is a database that highlights the greatest games that were made for the platform. 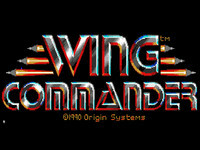 Wing Commander has earned its place as one of the top Amiga titles, so it's a perfect fit for the site. 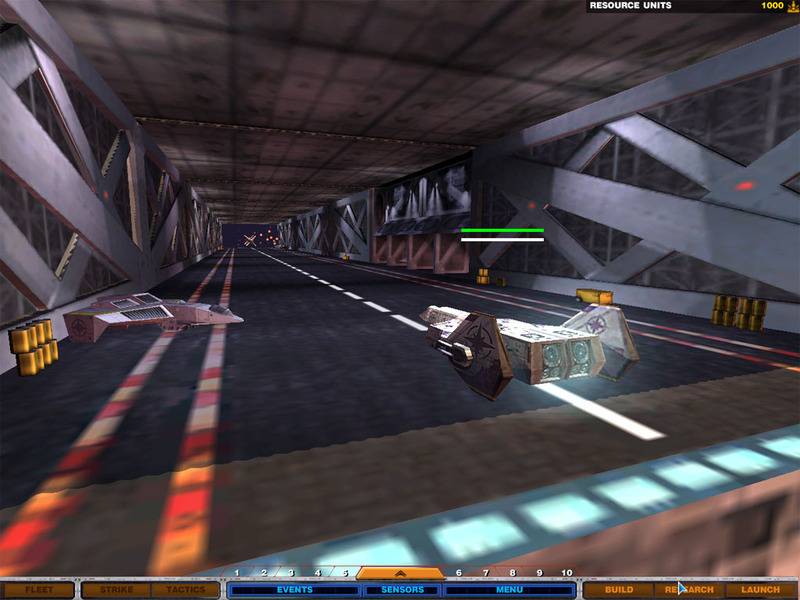 The highlight blurb is fairly brief, but they have a nice screenshot archive to show off the game. 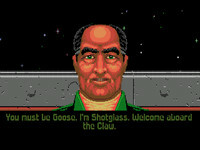 WC1 on the Amiga is known for having a fairly tiny color palette, although this has to be taken in context. 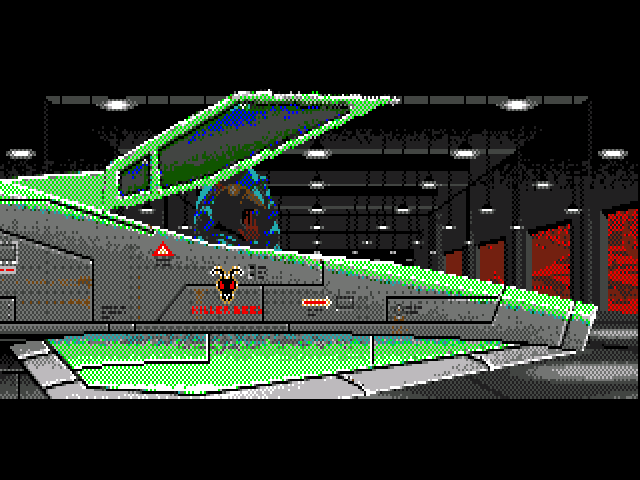 It's amazing that they got the game running at all - let alone still looking so good with only 16 colors at a time! Check out the profile here. System Shock, the 1994 shooter/role playing game published by Origin, is getting a remake. 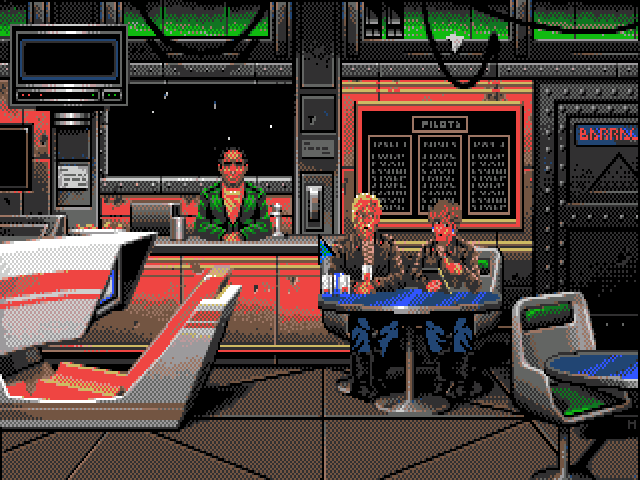 Night Dive Studios, best known for acquiring licenses to DOS classics and updating them for modern systems has initiated a crowdfunding campaign to secure the necessary funds. 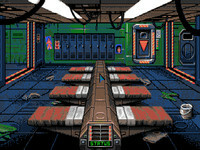 This studio is also credited with last year's enhanced edition of the original System Shock, which increases the screen resolution and fixes several gameplay and usability issues. The original voice artist for SHODAN is set to record new voiceover materials. An early gameplay trailer and pre-alpha demo are already available. With just about a week to go, the project has exceeded its Kickstarter goal and has the green light to proceed! 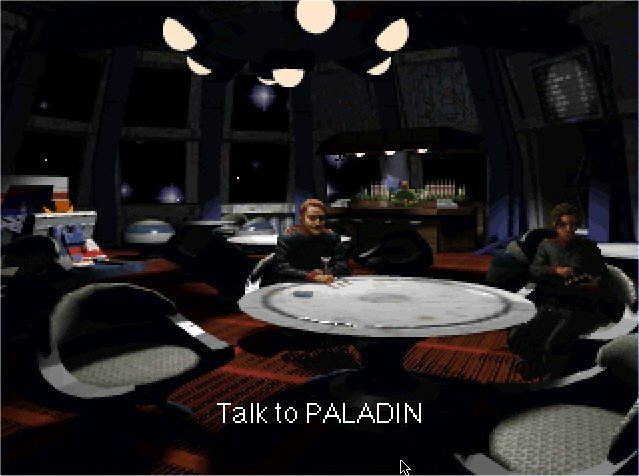 Did you know that the CD-ROM edition of System Shock features a hidden Wing Commander mini-game? 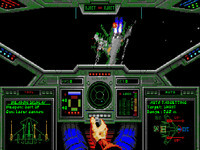 Even crazier bit of history: System Shock originally started life as a pitch for a Wing Commander tie-in called Alien Commander! 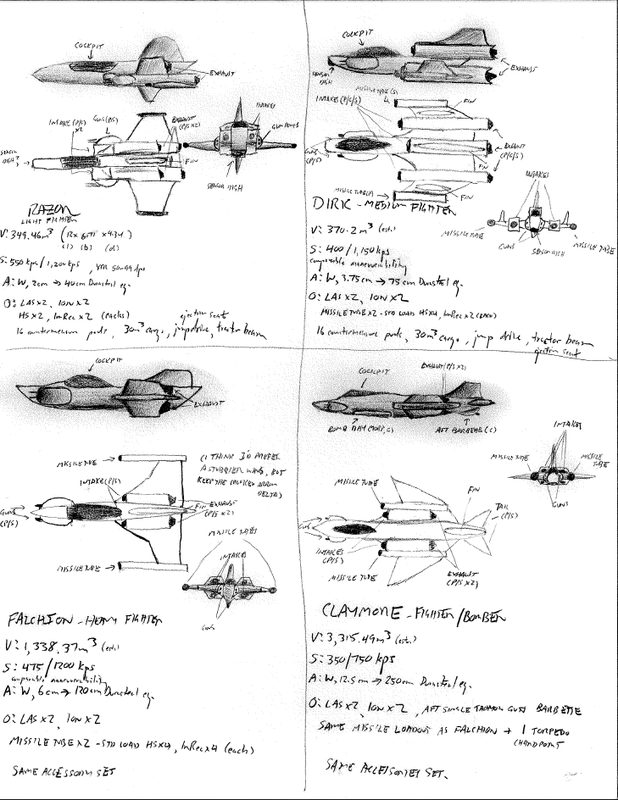 capi3101 is back with quite a few WC RPG status updates as well as a sketch for some new fighters. First up, he's made lots of house cleaning type updates concerning things like category listings for different chapters in his project wiki. 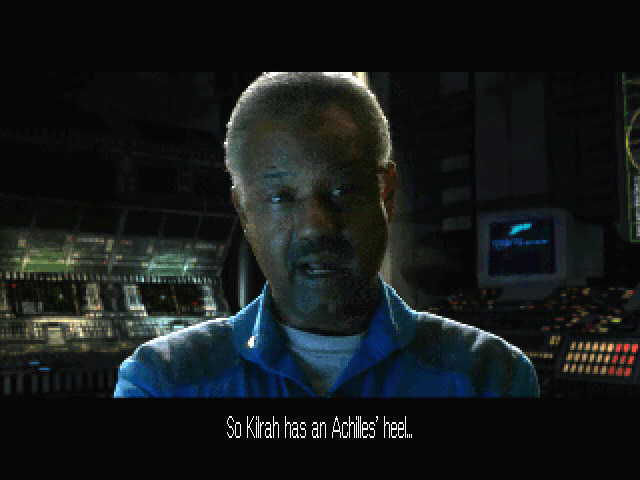 Additional Kilrathi translations have been made, and encounter scenarios are almost finished. These sound like a lot of work! 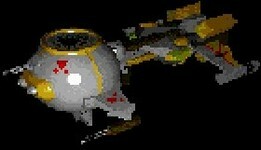 His new ships are inspired by the WC4 Razor. He's created a potential family of craft built by the same Martina Nostra manufacturer that would logically operate in the fringe areas where his RPG is set. This helps scratch his creative itch as well as provide something new and novel for his future players! 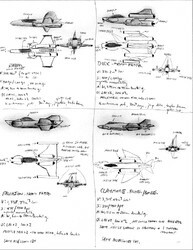 While I'm sharing design ideas over on the New 3D thread, I figured I'd go ahead and share some preliminary sketches I've drawn up for the three new Martina Nostra craft for the Elegy campaign - the Dirk medium fighter, Falchion heavy fighter and Claymore fighter/bomber. 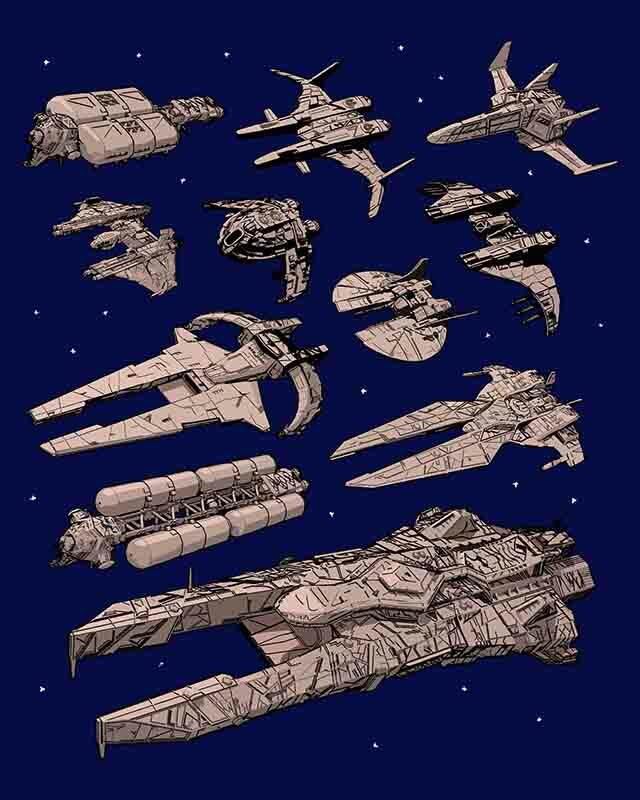 They kinda work like the Talon in Privateer, in that they're used by both pirate and commercial interests. After a marathon month of coding, L.I.F. has released the first playable test release of the Homeworld Mod working in the new Remastered 2.0 engine. He's come a long way restoring basic functionality after the core game was overhauled. A few of the factions and features are still unavailable at this time, but this version allows players to get into some battles and provide valuable feedback. Testers are needed! Grab the mod at the Steam Workshop here and let everyone know what you think. 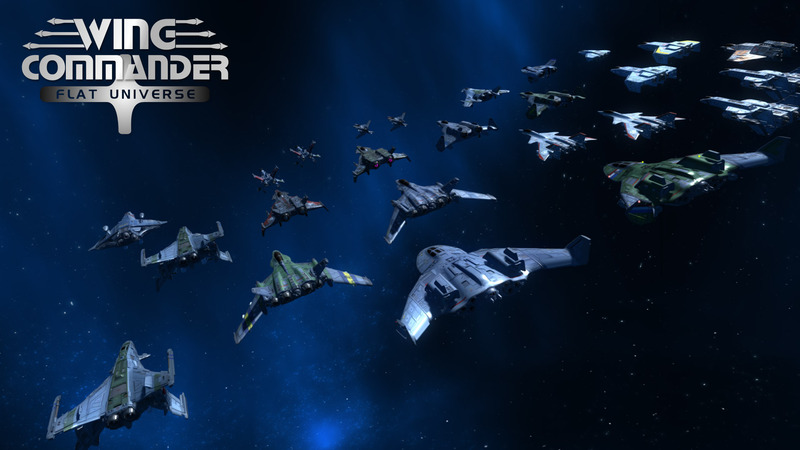 One of the gameplay's highlights of the official 2.0 patch was a massive improvement in formations, so I think I will break away once and for all from the "fighter group" model used before, where you purchased your fighters and bombers by groups of different sizes. 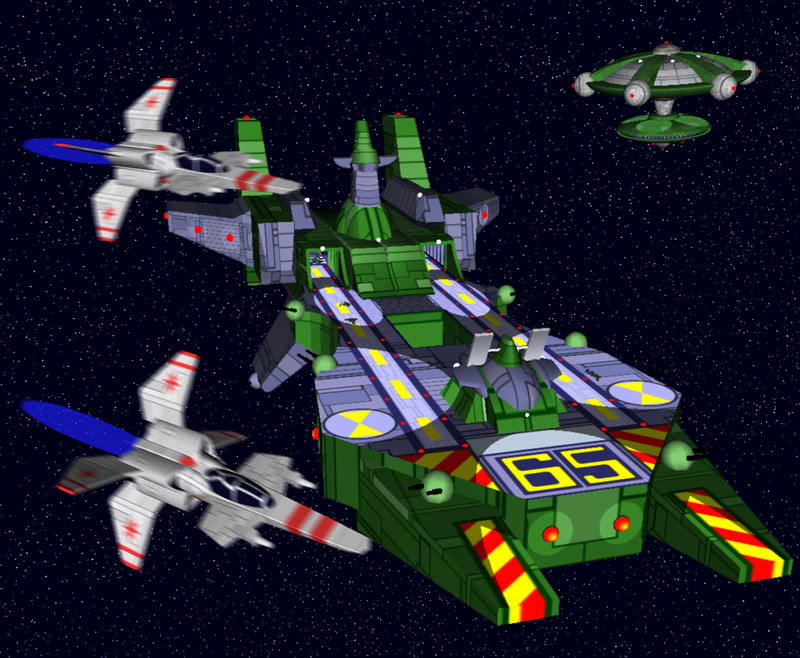 Instead of this, you will be able to build the fighters on a unitary scale and use the formation tool to get your own wings and combat groups. 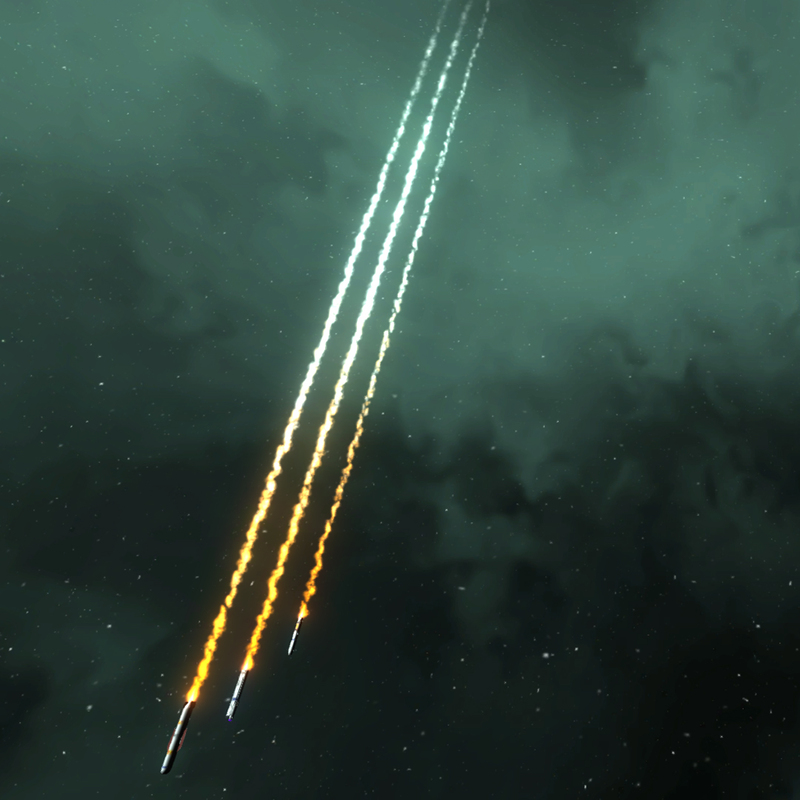 In addition, some ships will receive a productivity upgrade. For example, the Lexington and the Naval Base (think Blackmane in III) will have two production lines to build two fighters or two capital ships at once. The Lexington thus becomes much more interesting for setting up mining installations or replenishing strike groups during a pitched battle, while the Naval Base becomes much more than a simple shipyard. 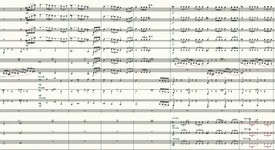 Origin composer George Oldziey continues to make great progress on his second album of orchestrated Wing Commander music. 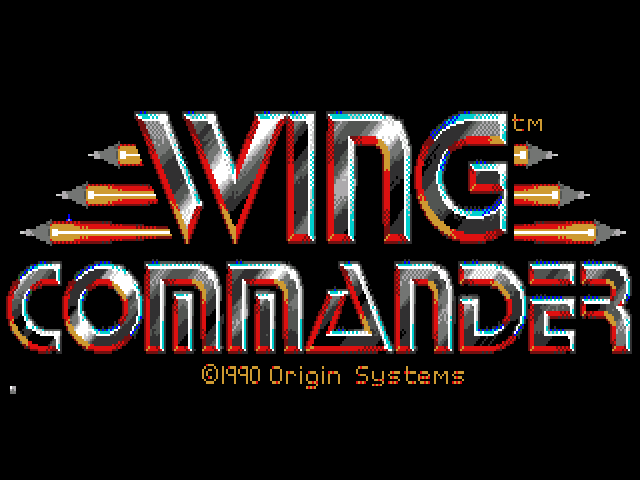 He's moved on to Wing Commander 4 next, and it sounds like he's having a lot of fun doing it! 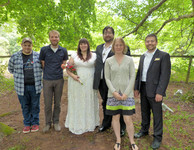 This time there's also a sneak peek at the physical arrangement he's in the process of writing. Listen to samples from the first recording session at Soundcloud and get a copy for yourself at his website. 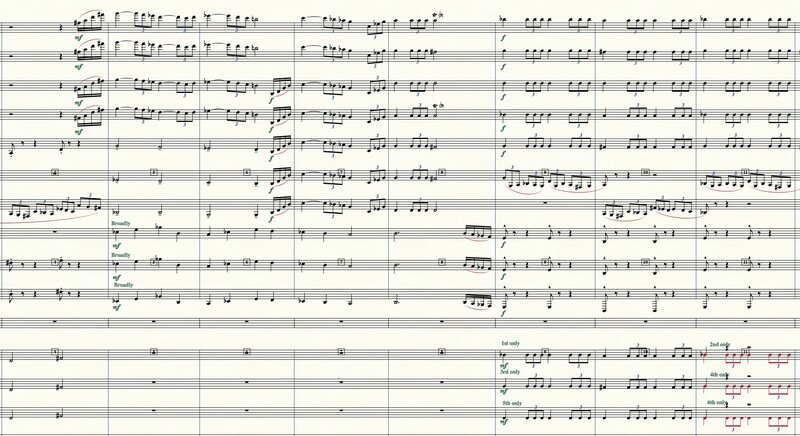 Having a great time orchestrating the second mission from Wing Commander 4! What a blast! Making great headway... Here is just a sample! 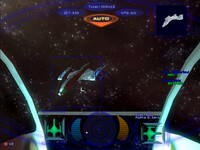 This week the Maslas Brothers have released another two-pack preview for Wing Commander Flat Universe. There's been some focus on the game's capships lately, but here you can see all the fighters and bombers that should be playable. 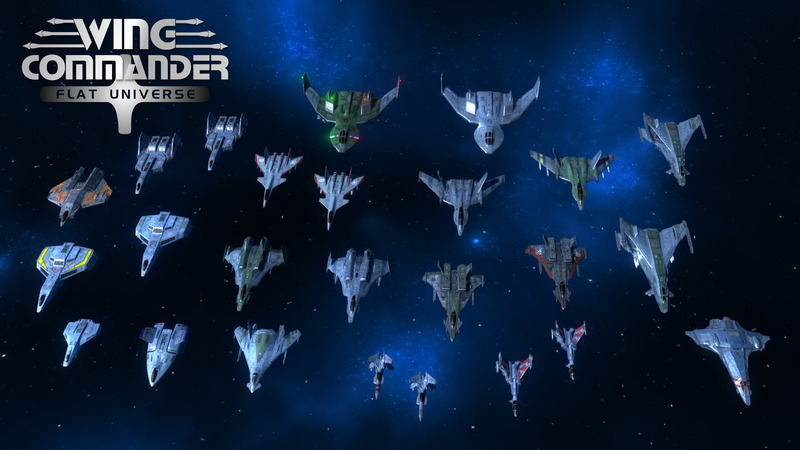 In some cases, multiple different variants or paint schemes further add to the diversity of the flight roster. 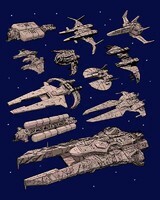 There's a lot of great looking ships here! As you have already understood, capital ships are implemented into Flat Universe. 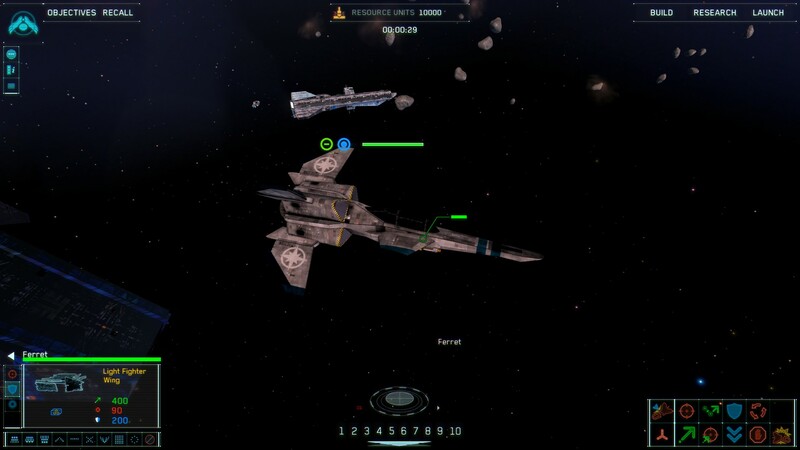 The following screenshots show off the Confed flyable ships that the you will have the chance to sit into their cockpits... or above... or something in between. Never mind have fun! We've got a bit of unfortunate news to share today. CIC co-founder Ben 'Bandit (LOAF)' Lesnick came down with an infection earlier this weekend that was serious enough to warrant a hospital stay. While things are improving, he'll still need to be there for a few days yet as everything gets taken care of. Many fellow fans have already reached out, and all the support is a big help! Hey everyone! Not quite up to tweeting, but wanted to thank you all for the love. Got a bit of a road ahead, but I can do it. Love you all. Less Than One Month To Party Time! We're now just four weeks away from the CIC's 18th Birthday Party! Time really flies. The actual date is August 10, but we've selected Saturday, August 13 to celebrate so that more fans can participate. Everything gets going at 7:00 pm EDT (4:00 pm PDT and 11:00 pm GMT) in #Wingnut on irc.wcnews.com or our easy web chat interface. The CIC Staff still has our work cut out for us to get everything ready in time, but it'll all be worth it when we're celebrating online with a room full of diehard fans. Stop by to show off your Wing Commander knowledge, see new Wing Commander features and check out a few surprises too. See you there! 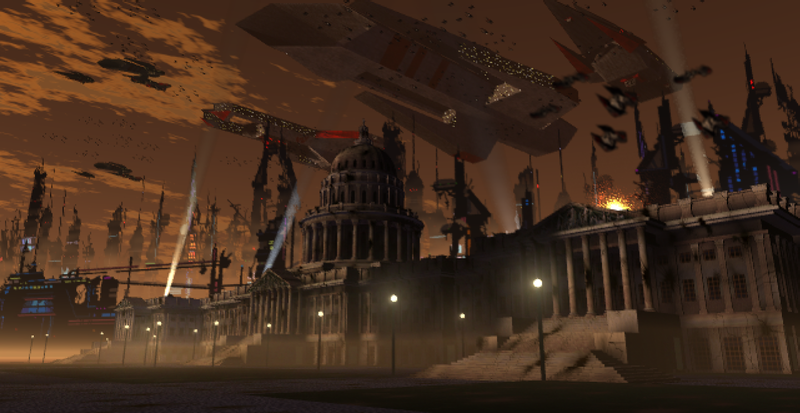 Veteran retrospective writer Richard Cobbett is back with a new article at Rock Paper Shotgun. This time he writes about Wing Commander 3 and the greatness it should be remembered for. While there are a few obvious similarities to stories like Star Wars, the game has an overall tone that's grittier and more desperate than your typical action adventure. The premise works and hooked a generation of gamers. Richard also throws out a nod to WC4 and even Academy to highlight just how epic that 1994-1996 timeframe was for Wing Commander fans! Find the full article here. Cutting edge games often age poorly. Past a certain point, it can be tough to see what all the excitement was about in the first place. 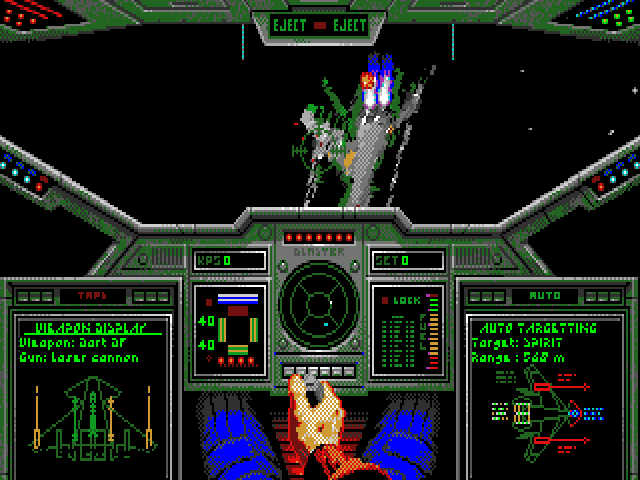 With so much fuss about Star Citizen though, I think it’s worth remembering that Wing Commander III wasn’t simply one of the most advanced games/interactive movies when it came out, but remains one of the bravest stories ever told. I don’t necessarily mean in terms of raw content here, but look. Put yourself in Chris Roberts’ shoes back in the early 90s. You’re making the most expensive game ever. A whole $4 million dollars! And what do you make? One of the most depressing action movies ever, that’s what. 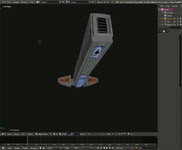 Kevin Caccamo has released version 1.6.3 of his Wing Blender tool. This latest version fixes a few issues that may occur when importing files, such incorrect positioning of certain spheres, and issues related to importing multiple models. You can download the latest release from GitHub, where you can also dive into the project's source code. A more detailed description and tutorial and documentation is available there as well. Wing Blender is a helpful tool for exporting and importing models from the Vision Engine into the open source Blender 3D modeling suite, and back again. 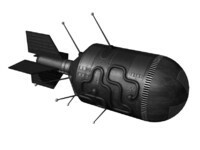 This potentially makes manipulation of the Prophecy and Secret Ops ship models much easier. 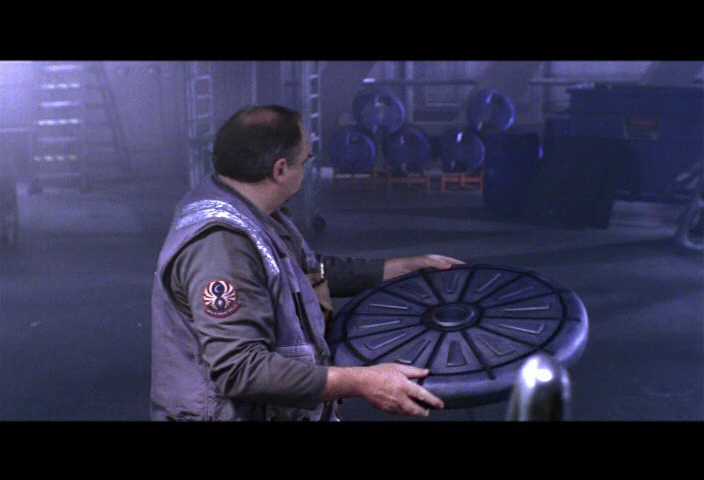 For example, DefianceIndustries' Secret Ops Model Upgrade project used Kevin's tool to add glowing elements to the upgraded models. 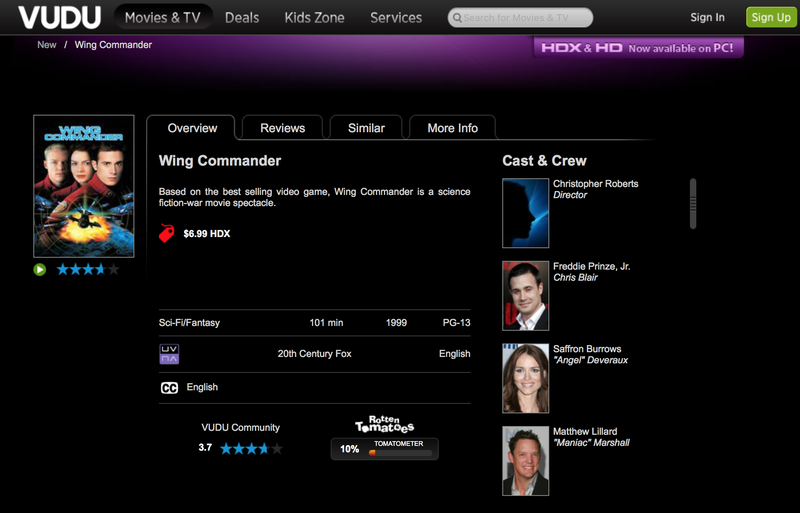 A couple of the digital platforms that reduced their prices on HD copies of the Wing Commander Movie have now dipped further to just $6.99. 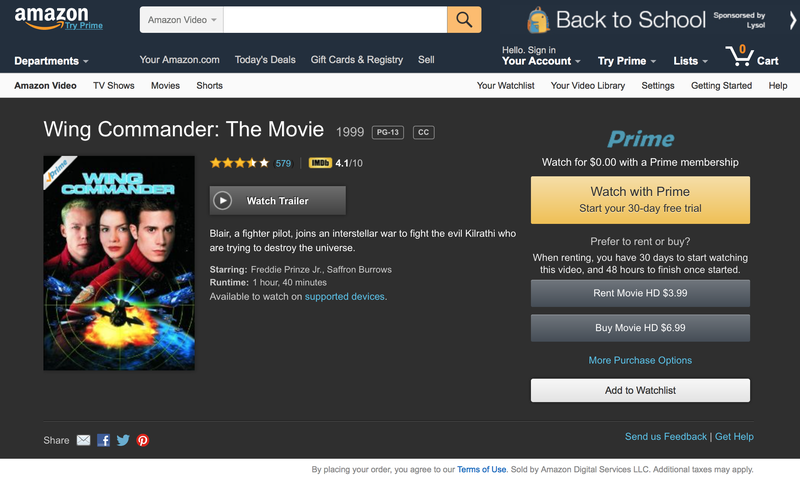 Both VUDU and Amazon Instant Video sport the new lower price. Other venues like iTunes and XBox Video are still holding at $9.99 for the time being, and prices on the Blu-Ray are currently hovering around $12 or less. One big difference compared to the price drop a year ago is that the film is now also available for free streaming on Netflix and via Amazon Prime in many countries. These types of contracts with streaming services are often time limited and it would not be a shock if they disappeared off the free menu next year though, so it's still not a bad idea to own a personal copy in one format or another! Thanks again to Jacob for the tip! L.I.F. continues to doggedly hack away at the Homeworld Remastered mod with some significant results. Several of his status updates are conglomerated below where you can read about the various aspects that are now working. Kilrathi and Confed factions are the focus now, so Black Lance and Border Worlds will still be a ways off. 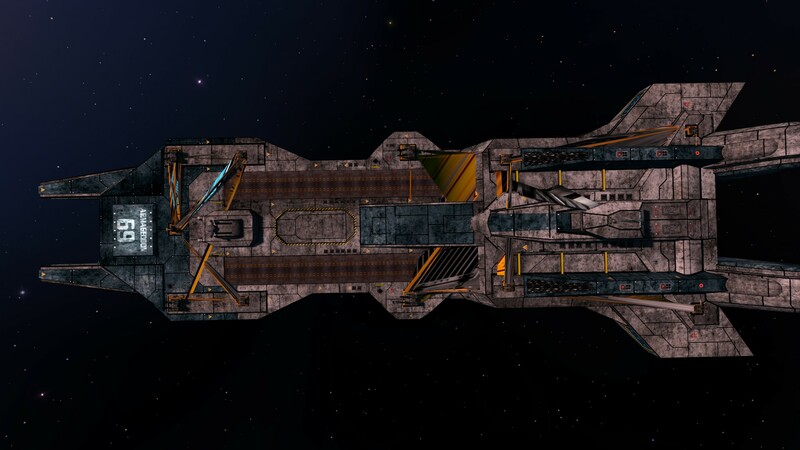 The good news is that as elements of the Wing Commander mod are brought back in line, they do appear to be functioning better than ever, which was the whole reason for the drastic overhaul of the game's code. If any prospective players would like to get in on some of the early improved test releases in the next month, drop L.I.F. a line or hit the Discuss link below. 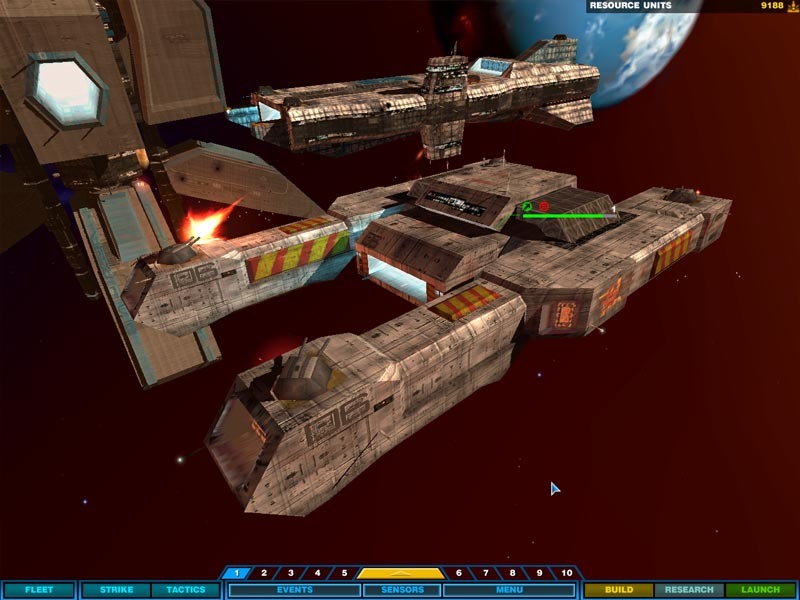 Update: basic functionality restored for the Kilrathi faction, player-only (no AI) building, icons, research and combat seem to work so far. The Confed faction has basic functionality too. 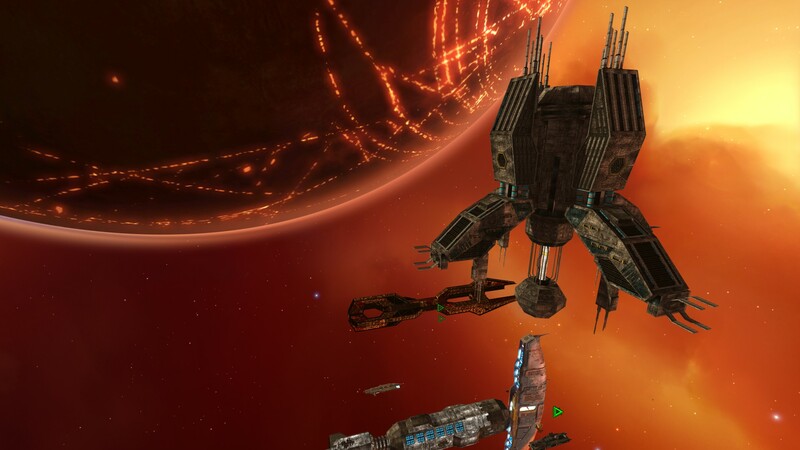 This means a beta release is extremely likely for the CIC birthday party, albeit the status of the release will probably not be as advanced as the previous stable one (still have problems with the wrecks, for example). 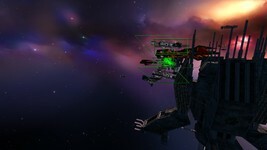 I have yet to decide whether I'll try to improve the two main factions or attempt to get the last two operational for a release, though at the moment, I'd be more for the first solution, to try and get wrecks and the new fuel scripts, since the UBW and BL factions still need a few more ships and subsystems to be pushed to the new quality standard. Definitely no AI to be expected by then, however. Thanks to some help on the Gearbox forums, I got the fuel and ammunition scripts to work, and they are much, much better than before, smoother and more precise. Combine this with the increased stability of the MP from the official 2.0 patch and I dare say we actually might get a few games running around the birthday party since these are the critical gameplay features I consider necessary for a good experience. Most likely Kilrathi/Confed only, though. Anyone interested to set this up? If there are people who'd like that, I will most likely do an early release so it can be beta-tested for bugs and crashes. 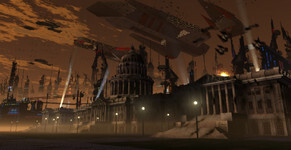 The latest Flat Universe teaser depicts an epic battle, and this time we get to see it from two angles! A Southampton and Exeter are jumping right into the middle of a Ralari and Fralthra squadron. With all the explosions and crisscrossing energy weapon bursts, this would be a fantastic engagement to watch! A voice from the speakers: "This the Captain. 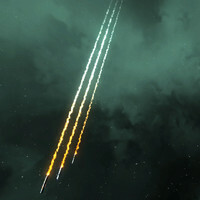 Brace for impact!" 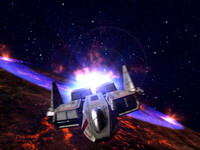 First Track Orchestrated For Wing Commander Album Sequel! 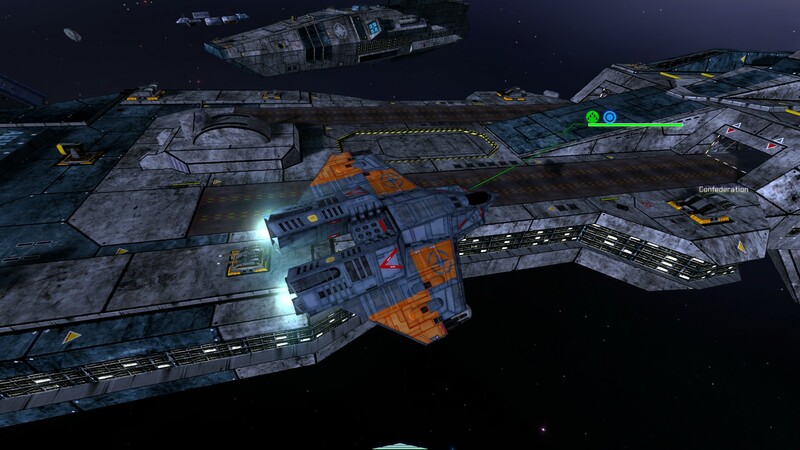 Details are still in work on how Origin composer George Oldziey will ultimately fund and record a sequel to his awesome orchestrated Wing Commander album, but he's wasting no time in getting to work on the lengthiest part of the process. He's focusing first on all the glorious music at the end of The Heart of the Tiger, and the initial track is already written. George did all the music for WC3, WC4 and non-simulator side of Prophecy, so there's lots of great material to choose from! 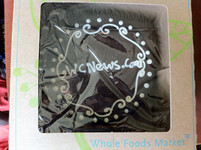 Stay tuned for more information on the project as it unfolds. Finished orchestrating WC3 Kilrathi surrender scene. About 3 minutes. Gonna sound great! Next up is Destruction of Kilrah. A lot more notes! Can't wait to record! 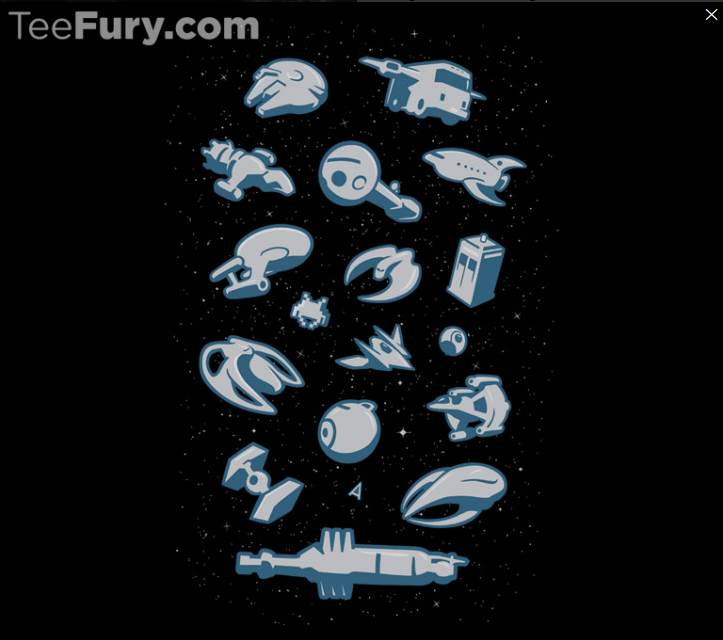 Lilja brought an interesting sci-fi themed shirt by, and he wanted to know if any of the ships depicted could possibly be WC designs. 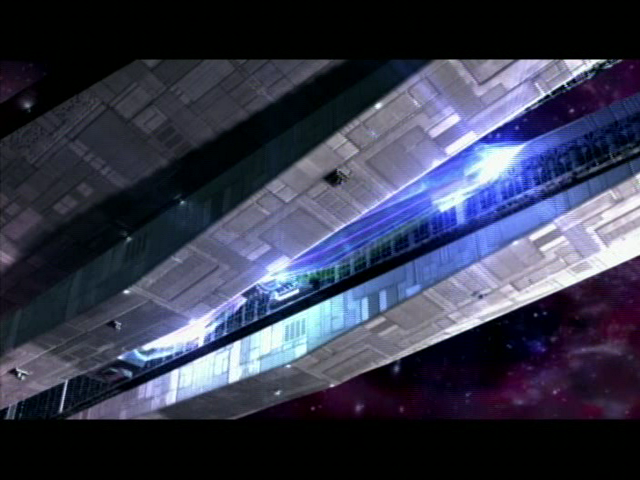 Alas, the "Dralthi" is really a Cylon Raider from Battlestar Galactica and the "Raptor" is the Gunstar from The Last Starfighter (which was the inspiration for the design). 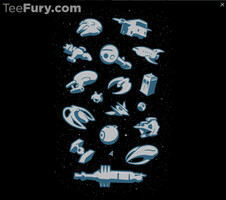 Fortunately, Klavs popped in the rectify the situation with a similar shirt made entirely of Wing Commander designs. Starting with the top row, from left to right, are his Dorkir transport, Krant, Gratha, Hhriss, Salthi, Dralthi, Jalthi, Fralthi, Ralari, Dorkir tanker and Snakeir. This would be a fun shirt - it's even set against the blue space of WC1! 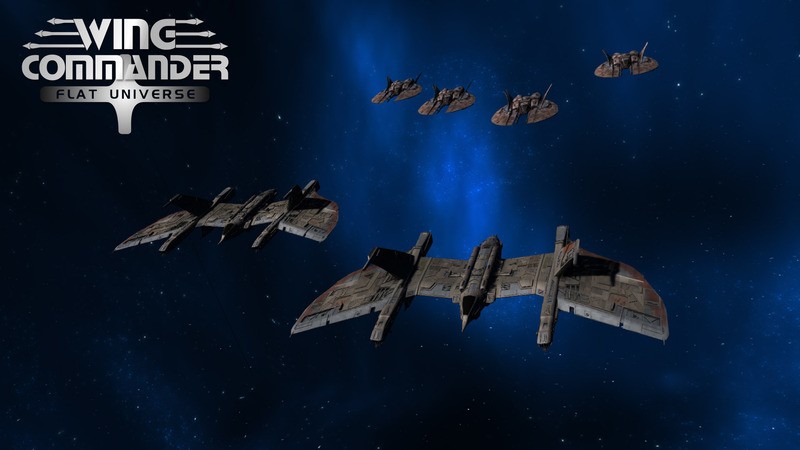 Luke has released a new patch for the German version of Wing Commander Saga, further streamlining the gaming experience and modding provisions. The changes in 1.08 include improvements to the campaign GUI, clearer help overlays and an updated German manual. There are also several fixes and tweaks to the configuration files and LUA scripts for use behind the scenes. If you already have 1.07 or an older version installed, you can download a small patch to bring the game up to date. Full downloads can be found here. 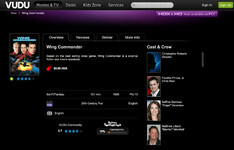 First Wing Commander Ebook Published To All Major Storefronts! 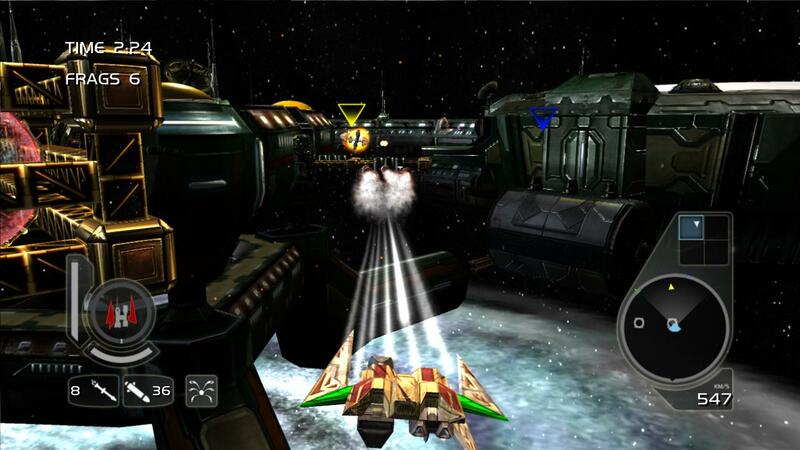 The Maslas Brothers have posted another teaser image for their next Wing Commander Flat Universe release. This one features a Kilrathi wing of Klavs' Grikath and Dralthi as they'll appear in cutscenes/close-ups in the game. This would be quite a handful to run into at a nav point all at once! 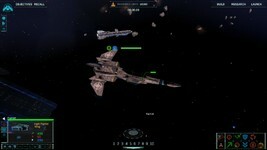 Tower: "Long range sensors show a squadron of four Dralthi IIs and a couple of Grikaths." Pilot: "No worries base. They are no match for my Scimitar!" 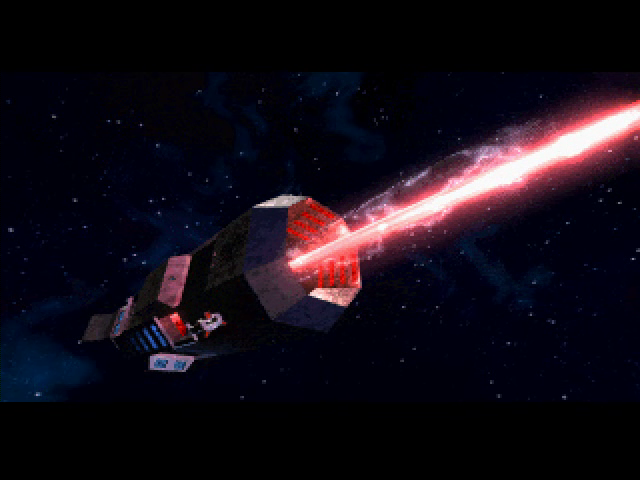 Today we have a new poll that asks what everyone's preferred super weapon is. 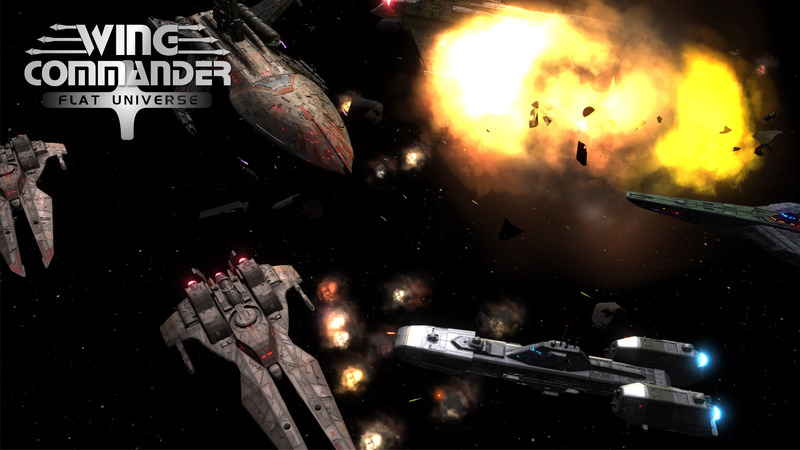 The choices are split 50/50 between some devastating fighter ordnance and some of the meanest dreadnought-carried weapons in the galaxy. What would you choose? The old poll asked what item you'd rather have on a desert island. We should have known that putting the laptop option in there would be a clear winner. After the obvious choice, the Pilgrim Cross with blade and WC Novels took a good share of the votes - both practical choices! Today is Independence Day in the US, which means we get to pull out this nifty Origin graphic again! I'm sure far too many people are making jokes about "the original Brexit" today, so we'll spare you. Hopefully many of you out there are enjoying some time off, and to our visitors around the world: only four more get-ups until the weekend! In case you missed our announcement last month, this year's CIC Birthday Party will be on Saturday, August 13! That's just about six weeks away. We'd love to have you join us for a fun night full of games, new features and stories from your fellow Wingnuts. 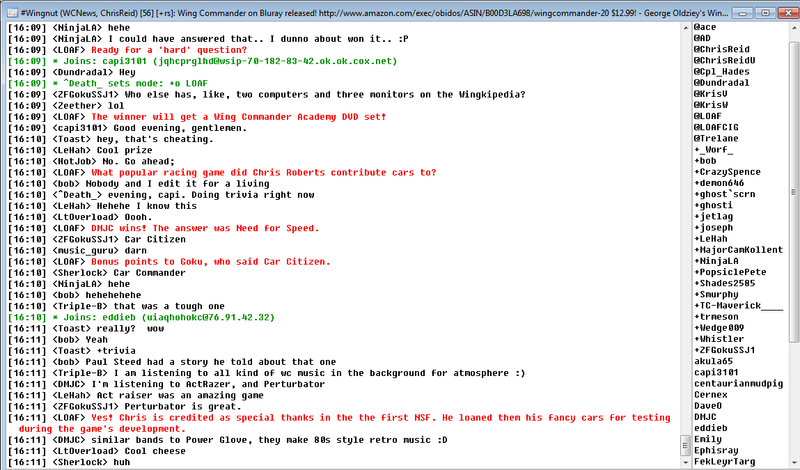 It's easy to pop into our web chat or join #Wingnut on irc.wcnews.com. Everything gets going at 7:00 pm EDT (4:00 pm PDT and 11:00 pm GMT) on the 13th - but you're also welcome to drop in any time between now and then. See you there! Since the major 2.0 upgrade to Homeworld Remastered was released last month, L.I.F. 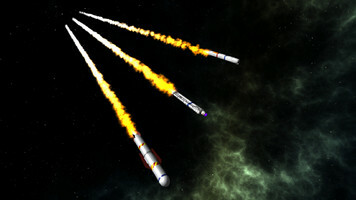 has been diligently working to address the miscellaneous bugs and glitches that the upgrade introduced. While the changes to the core game will ultimately make greater things possible, there are some major engine issues to address in the mean time. 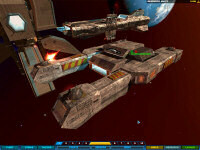 The images below show some of the fixes that have been made to large capships. Screwy models are visible in the first two images, and you can see how they've been resolved in the latter pair of screenshots. Based on some of the feedback to this status report, L.I.F. will aim to shoot for some interim releases that partially resolve issues with his WC mod so that people can start testing things out in the weeks and months ahead. 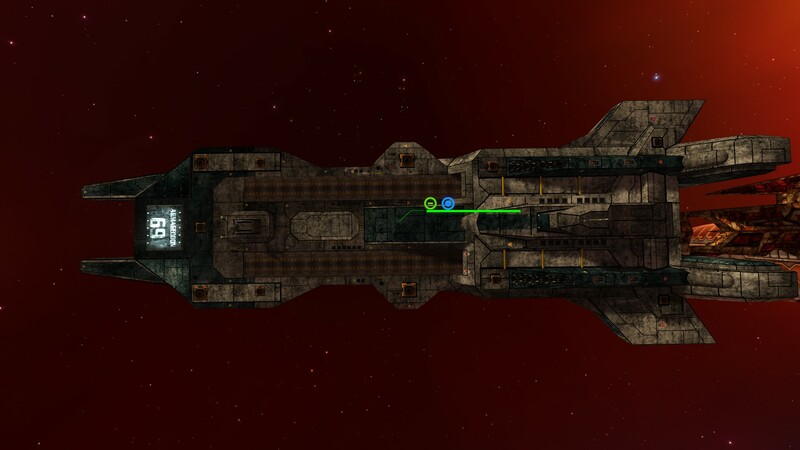 Thanks to some help on the main Homeworld Remastered boards from the Gearbox forums, I managed to break through the big issue that I talked about for some time now, that was plaguing me and turned the largest ships into that kind of mess. As you can see, the biggest models are now working properly with the new version of the file system (compare the Hvar'Kann to see what I mean). Do not get your hopes up, though, because this means I will, as soon as I get the ships updated and debugged, just be able to start tinkering. There's quite a lot of new stuff to work with in the new version of the game, and I would like to release a much more complete stuff instead of the incremental versions from the past year. If you people really want to have a Beta release with the ships working-ish, I guess I could try to upload it the next week-end. 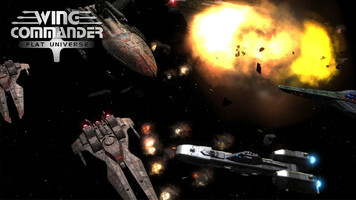 The proper release, however, is intended to have AI, possibly some new gameplay features and, depending on feasability, more units modelled and textured to the new standard of quality. And that, I'll be honest... it will take months. 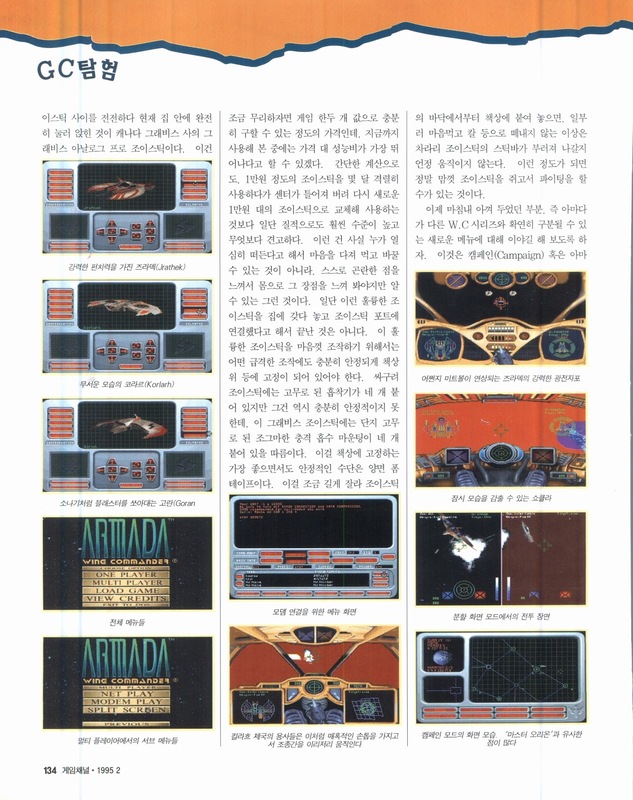 A few months ago we reported on a Korean blog that posts scans of old, local gaming magazines, most notably a massive spread on Prophecy. 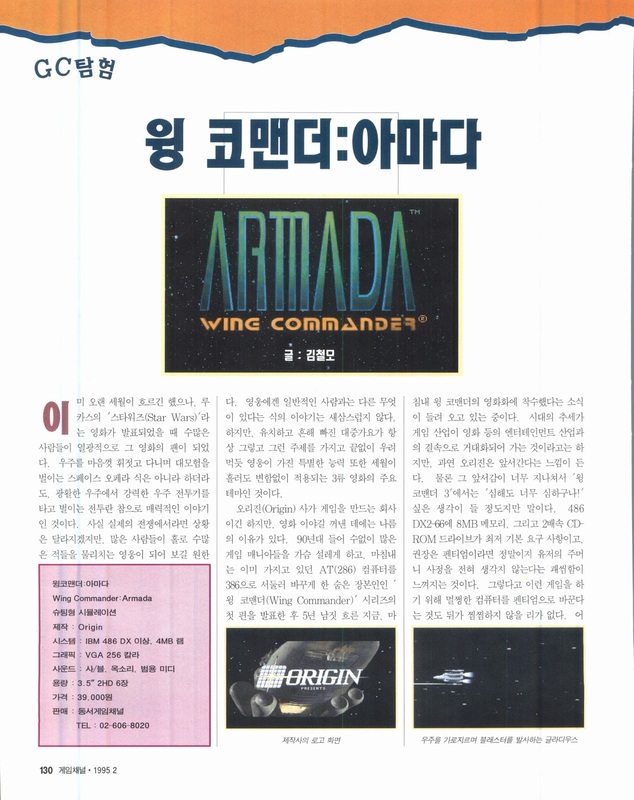 Another post covers a piece on Wing Commander: Armada from what appears to be the February 1995 issue of Game Channel (게임채널). 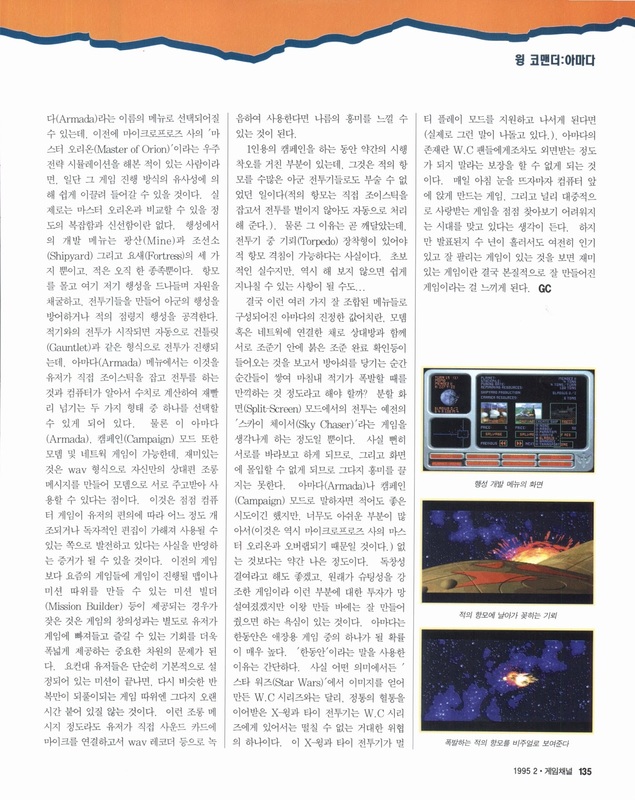 This short-lived publication consisted partly of syndicated content from Computer Gaming World. 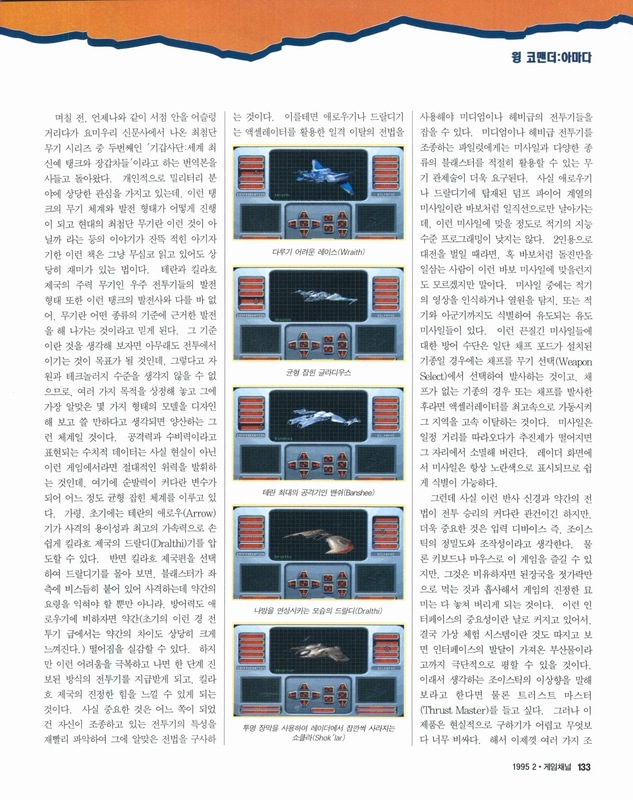 It's a pretty substantial article that seems to touch on most aspects of the game, such as game modes, ships and weaponry, but there doesn't appear to be a score or final verdict.